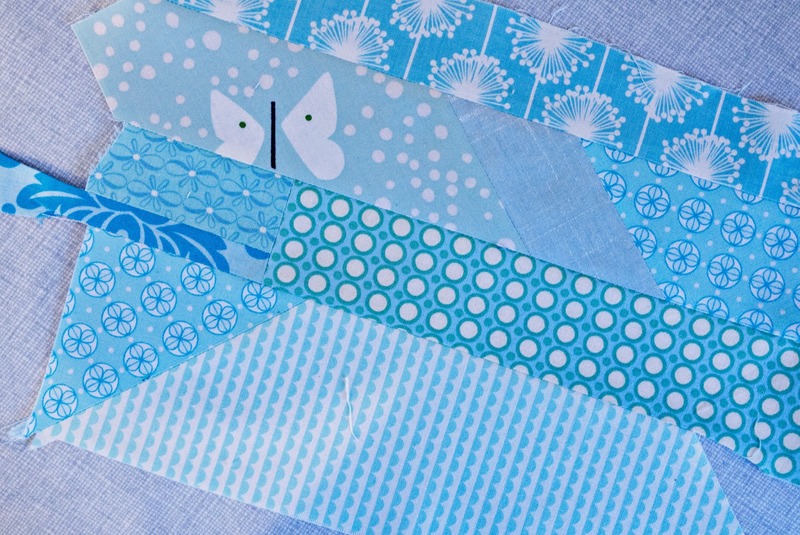 pins and bobbins: something new sampler: scrap attack! something new sampler: scrap attack! Welcome to my stop on the something new sampler blog hop! I've got a bit of a problem when it comes to quilting - scraps. They're everywhere, bins here, bags, there. Because I want my hobby to be as low footprint as it can (hard when we're talking shipping, dyes and non-organic fabrics) I don't throw out any scraps. The teeny tiny ones are slowly stuffing a dog bed. Today's project tackles some of the slightly bigger ones. You can use this technique with any of your scraps. Go monochrome, build a rainbow, choose a colour scheme. 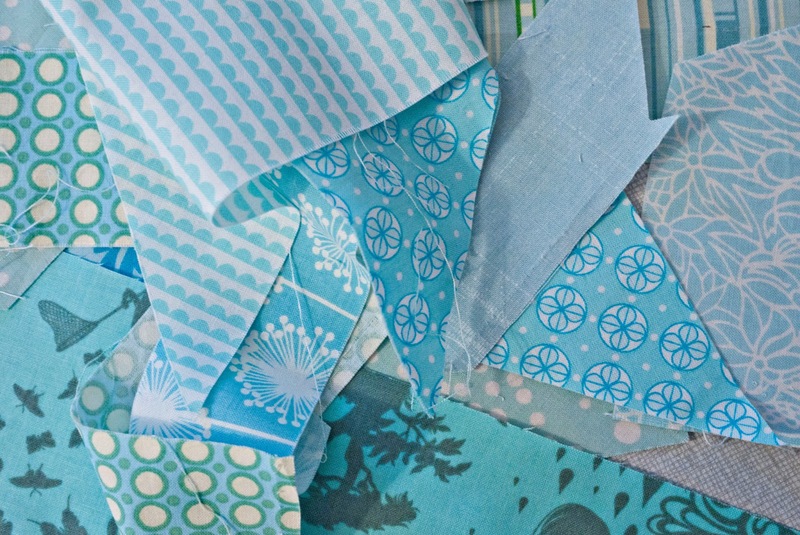 I decided to go the monochrome route since a few recent projects has left my bins overflowing with aqua scraps. 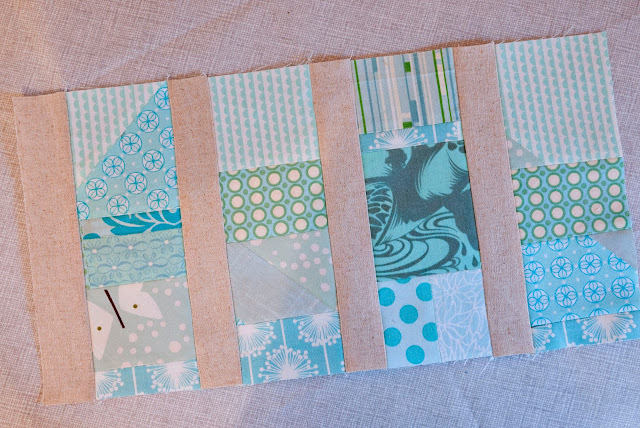 Once you've chosen your scraps, just start sewing them together! 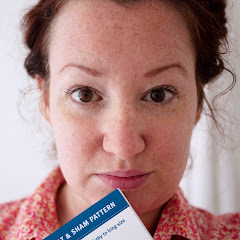 Channel those improv skills, don't worry about perfect ¼" seams. 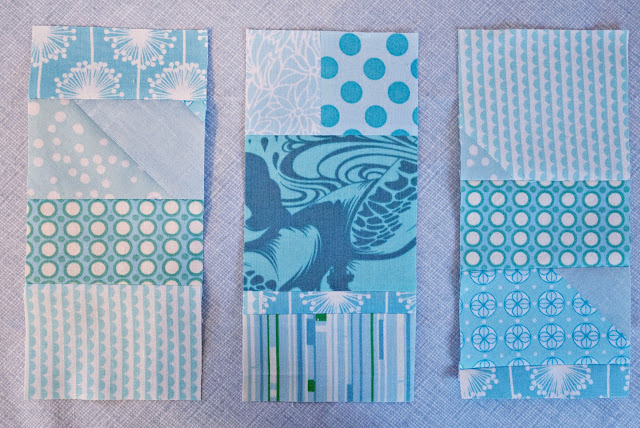 We're building new, more useable yardage (ok, maybe fat quarter-age) out of otherwise difficult to use scraps. Don't worry about seams matching up or edges being even. We can cut around that! I don't normally press my seam open but I found it essential with this technique. Anything that makes our new scrap base fabric flatter is awesome! I can't use steam in my iron because of a really high iron concentration in our well water (hello rust spots), but if you can, steam will be your friend. 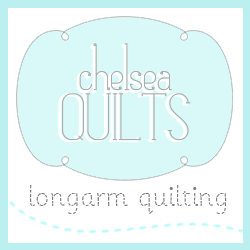 We're going to be cutting four pieces 3"x7½". You might want to think about this while building your new fabric. If your scraps are really small it might be easier to sew together only enough pieces for one 3"x7½" segment at a time. If they're larger you can sew a much larger piece of scrap base and cut them all at once. I sort of combined the two. I sewed enough scraps together to cut the first three pieces then figured out where I had to add on in order to cut the fourth. Now we need some sashing. Since the large pieces are so scrappy I decided to go with a solid for my sashing, one I just happened to have in my scrap bin. You'll need to cut four pieces 1½"x7½". Sew one sashing piece to each scrap base segment, then sew all the sashing + scrap base segments together. Done! Now I know that a rectangular block (in this case 7"x14" finished) isn't the norm, but the scrap base technique can be used with so many other blocks. My advice is to keep the scale larger and the piecing simple. Amy has arranged some amazing prizes, so don't forget to link up on her blog if you've create anything using our tutorials! Great idea - loving your scraps! Glad to know I'm not the only one that has scrap guilt and keeps the crumbs. Love what you've done with these ones! I am totally into my scraps at the moment. Love this plan! your hoarding your super small scraps to fill a dog bed is such a fantastic idea! awesome awesome!!! Very lovely post.looks great.I like it.Thanks for sharing this great post.